One | Two | Three | Four | Five | Six | Seven | EightMotel is one of my favourite online brands to buy from. I own a few of their dresses, skirts and shirts and they’re some of my favourite things to wear, you can dress them up or down. I’ve recently been browsing their new in section and I’ve found the above pieces I’d like to get my hands on. I love how this season everything seems to be going a bit sixties, it’s one of my favourite decades for fashion and I’d love to see it as a trend. 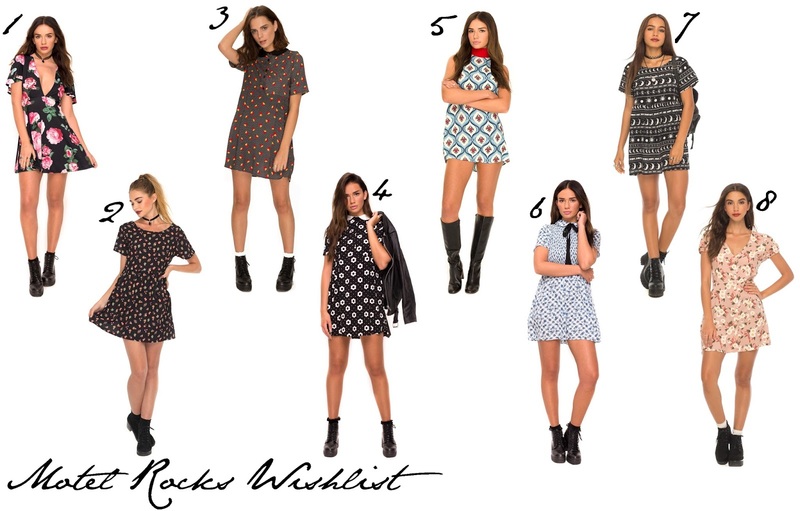 You can definitely tell I’ve got a love for dresses and floral patterns in this wishlist! Do you like Motel clothes?